Need Help with SEO? Contact Us Now! Sun Tsu, the great military strategist, taught, "Know yourself, know your enemy; in a thousand battles, a thousand victories." Ask and answer fundamental questions, including: What does your competition offer? How are you better? What are your competitors' websites like? How can you make your user experience friendlier? Looking realistically at ourselves isn't something we humans do well. It's one of many reasons a digital marketing agency like 51Blocks is vital. The outside expert can be far more objective and knows the right questions to ask you about you and your competition. We're keeping this ridiculously simple, so, think of a tree. You have a product or service to sell, a cause to promote, a message to be delivered. Phrase that in a single sentence; that's the trunk. Let's think product: Your pricing, your technical expertise, your customer service, all become the main branches. Let's discuss pricing: How many payment methods are available? How many delivery options (and their costs) do you offer? These are your lesser branches. The trunk is your home page; the branches are your subject pages; your individual products are your landing pages. The Internet is so awesomely convenient, it's made us (all of us) lazier. Cater to that lethargy by making it supremely simple to find whatever they need, and your customers will keep coming back for more. There are numerous websites and services that provide raw data, but, what do you do with all those numbers? A digital marketing agency like 51Blocks does more than just find the words, we develop a keyword strategy then hand that to our professional writers who string your best keywords together into engaging copy that moves your visitors closer to conversion. Organize each page around a theme and pick keywords that fit the theme. Title that page with a phrase saying something positive in a clever way. When people link to your page, they often repeat that phrase. It doesn't need more than one sentences. That sentence doesn't need to include every keyword, just the one or two that best relate to the theme and support your overall keyword strategy. If the page will have several sections, divide the page logically, using clear, engaging subtitles and organize links so users can navigate within the page as well as from page to page. Links to your site increase exposure — the likelihood people will discover your site. They build trust — the more people talk about you, the farther the idea spreads that you're good at what you do. They increase ranking — search engines record these links like they were votes. Participating in social media can result in links to your site by others. The more they share, the better you look and, not to put too fine a point on this, external links published by your fans are free advertising. Also, publicize your site using directories. Put links in general directories. Don't forget smaller, niche directories, if you're in a niche market. Use local directories (like your chamber of commerce) and any that serve your specific industry. How often do we hear of something that's "gone viral"? It's a major positive because, once the original post or video is created, the spreading word is free. Videos, podcasts and other off-web marketing options are often simple to do, very inexpensive, and, if they catch on, they can be a gold strike. So, do it right: Have a clear concept, demonstrate your process, put it out there, get the ball rolling by sharing it with your friends and encouraging them to share it. Of course, don't forget the "shameless" part of "shameless self-promotion" — ask them to buy and display your URL prominently. Politicians keep asking, "Are you better off than you were four years ago? ", while voters keep asking, "What have you done for me lately?" No surprise, these questions have relevance outside politics. Is your website generating more leads? Do people read more pages or spend more time on each page? Are visitors linking to your site? Good, but not good enough. Are you increasing profit? Nothing else matters, so if you're not, you have failed. Time to try something new. If so, don't stop now! Nothing is ever perfect. Search engines change their algorithms, new competitors arise, people get bored. 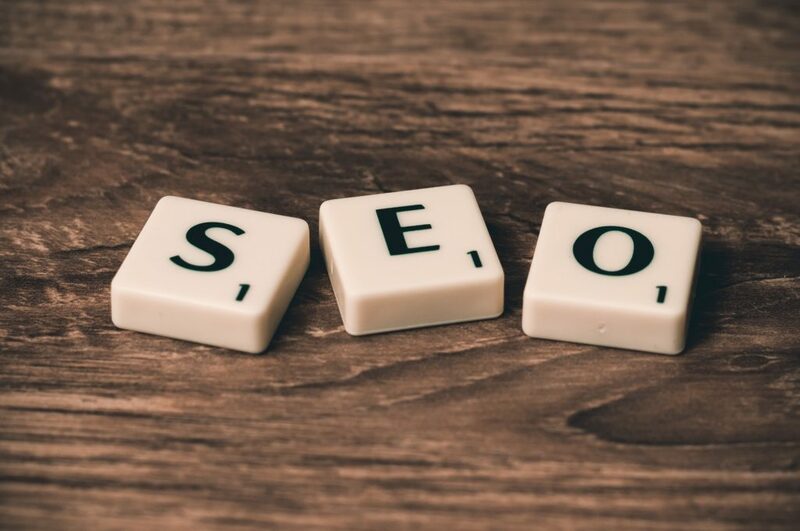 A good SEO firm, like 51Blocks, offers ongoing services like blog posts, regular reviews, and other tools that don't just get you to the top, they keep you there.